I just came from a performance of Giselle, the classic ballet in which the heroine, a peasant girl, falls in love with a prince and then dies when she discovers that he is betrothed to a noblewoman. I love this ballet and watched it with rapt attention, but I was struck, in the context of our #MeToo moment, of its problematic appeal and that of other ballets that I love like Sleeping Beauty, Romeo and Juliet, and Swan Lake. No one would dream of painting such a picture now. A pubescent girl, half-draped in a Greek tunic and preparing for a bath in a reedy pool, covers her breast and turns her head as if surprised by an intruder. And though the pose may be based on classical precedents of “Susanna and the Elders,” this is unquestionably a real girl showing real discomfort. The male gaze has never seemed so possessive — except that it’s not a male gaze, it’s a female gaze, and a mother’s gaze at that. 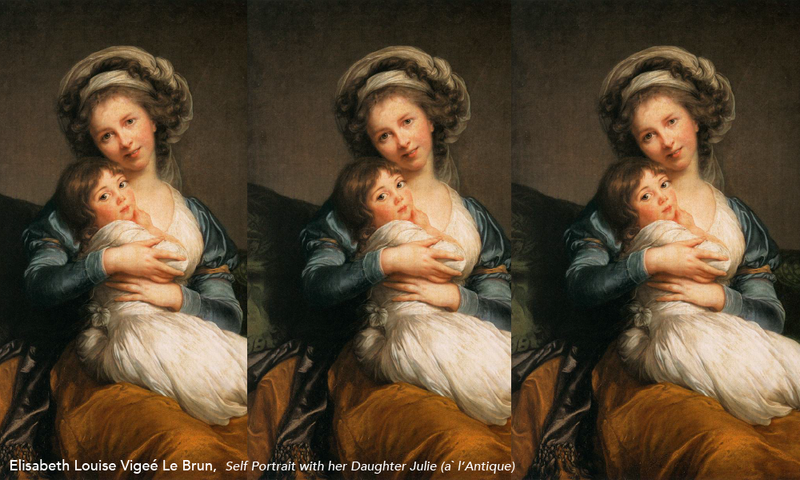 The painter is Elisabeth Louise Vigeé Le Brun, and the model is her 12-year-old daughter, Julie, posing for a pastoral portrait titled “Julie Le Brun as a Bather.” The possessiveness and the discomfort seem uncontrived because the mother/painter was rightly concerned for the happiness and security of her much-loved only child, and the daughter/sitter would have had to feel discomfort, as any normally restless 12-year-old would, holding an unnatural pose in a drafty studio for as long as it took to complete a highly finished portrait commission in 1792.